I have always been a fan of Twinkle Khanna. Yes, even before she became a writer. No, I did not think she was a good actress, I just thought that she was very beautiful and had a very good sense of fashion. And I loved her hair. Oh, her hair! Okay, I can get vain at times. Then she went on to get married to Akshay Kumar, a man I immensely respect for being so humble. Then they became like the dream couple in my mind. Anyway, when she started writing columns, I thought it was just one of those things that star wives do. And then, I started reading her work. I was blown away! If there is something that this woman had, it was wit. And balls! I waited for her columns every week. Her take on current affairs coupled with her home affairs was such a refreshing read. Nobody has made any news feel so entertaining before. Yeah, not even Arnab Goswami. There was something so genuine in her writing that you could easily relate to this. The things you could only think in your mind, she put it on paper. And how brilliantly! Respect for this woman instantly doubled. She made day to day mundane chores seems so interesting. The wit and sarcasm in her posts really stand out and the honesty in her writing seems so refreshing. When I heard that she was writing a book, I immediately placed a pre-order request. When 'Mrs. Funnybones' came home, I was reading something else. The husband picked the book and was done with it in a couple of hours! He loved it! I have never seen him laughing so much while reading a book and he's not even a frequent reader! When I started reading the book a day later, I couldn't put it down. She had done a A to Z in her book and each of it was so hilarious and yet so true. There was an ease in her writing that helps the reader read it the way it should be read. It is almost like she's sitting on your couch and you are having a conversation with her. It was that real and the concept was original. There is no way one can not like this book. After this book I looked forward to her columns more and waited desperately for her second book. When I heard it was fiction, my heart sank a bit. I expected a one of a kind book from her but then she was doing fiction of all things. But then, it was her and I thought, well, there should be something different. When 'The Legend Of Lakshmi Prasad' came in, I read the first story immediately and was immediately transported to the time when I used to read Amar Chitra Katha as a child. It felt like one of those feel good stories with a good deed in the end. The second story was the best of the lot with an unusual love story. The third one was easily forgettable and the only thing that came to my mind when I read this was 'Saath Khoon Maaf'. 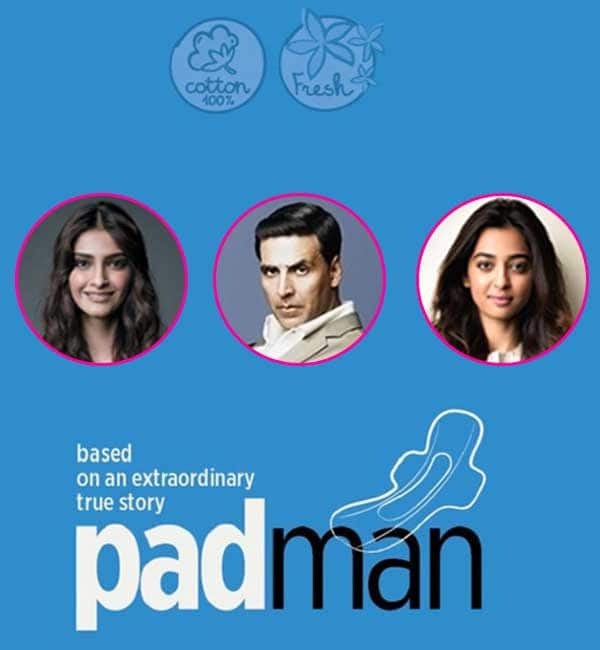 The fourth was a story that I had followed earlier, which is now coming in the form of a movie called 'Padman', produced by the very own author. I have reviewed the book here. I finished this book in a couple of hours, but it was no where closer to her first book. I missed the wit and the sarcasm here. That is the USP of her writing after all. None of that was there in her second book. Also, the book needed better editing. It is not that she is a bad writer, it is just that maybe fiction is not her thing. I don't know what her next book is going to be about, but I hope it is about her tryst in the movie industry as an actress. That would be quite something, honestly. Until then, I would continue to relish her columns and enjoy her dry wit and humor. What do you think of Mrs Funnybones? I am surprised at the way Twinkle Khanna has evolved her. When she was acting in films, I didnt even notice her, but her columns and then the first book made me sit up and look at her in a new light. Love her wit and talking about issues that matter in no-nonsense manner. I am yet to pick The Legend Of Lakshmi Prasad. I haven't read either of her books. But I think I will pick up Mrs. Funnybones soon. When she started her interior designing business, that's when I thought "this is just what star wives do" :P I didn't know that she used to write columns until this book came out. My oh my! I was pleasantly surprised (to put it mildly). I loved all of it. I'm yet to read this book though. Really interested in Lakshmi Prasad as well. So when I left India 12 years ago, Twinkle Khanna was not writing --- she was a not-so-great actress and I didn't think much of her. I think she had married someone then? Not sure. In any case, she sounds like she's a pretty good writer. Maybe next time I'm in India, I'll look out for her books. I adore her as well. Her first book was hilarious. I finished it in a couple of hours. I recently bought her second book because I was put off by the idea of her writing fiction. Well, I didn't even start reading the book. I read Mrs funnybones and totally loved it. I am not an avid reader and it was the perfect kind of book to keep me engrossed. I always loved her columns and yeah her hair is amazing.. And she openly admits she was a bad actor which is so cool about her. Did you see her Instagram post where she dressed up her kind as Thor for fancy dress rather than a Disney Princess who is always in need of help I so loved it. I was actually surprised she could write... And that too so well. I didn't have much opinion about her before, but after reading her columns, she is a rockstar to me now. I am yet to read her books. Will be ordering a copy soon. I looking very Twinkle Khanna. Like you, her second book did not impress me as much. But for whatever little I have read or heard of her, she's a kind-hearted, witty and courageous girl. I haven't read any of her books and that's because there is only one genre I am quite hesitant on picking up and that is comedy. But yeah, I have heard many good things about her. Also, most of the people have the same opinion as yours, at least in my circle.